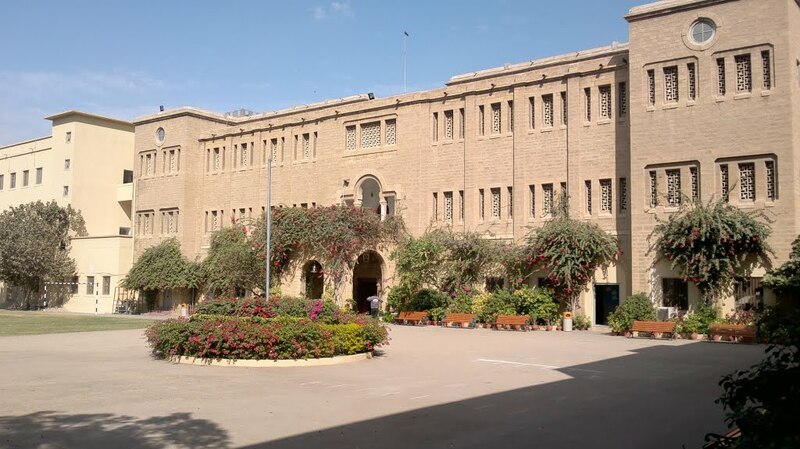 Karachi Grammar School is one of the most notable and oldest established schools by the British, in Pakistan. Parents often want their children to get admission in Karachi Grammar school because of the advantages their children will get due to the old alumni who are in good positions in the corporate sector in Pakistan. The students, later in their careers also develop good social networking. Many parents are very eager for their children to get admission in the school, yet they are unaware of how the entire admission process works. Well, the school has certain criteria, and it assesses you and your child to see if you match their criteria. It depends whether you have an influential background, and by influential it doesn’t always mean lots of money, it could be holding a prominent Government post, or be a famous celebrity, etc. Now you will ask, what does the school get from this? Students from influential backgrounds enrolled in the school, add to the brand value of the school. But of course, every school has to maintain its diversity, so it’s not always necessary that all students who applied from an influential background were granted admission, students from an average background could also be enrolled. Since I am talking particularly about admissions in Kindergarten, the school will make the decision of granting admission depending around 95% on the parents and 5% on the childs interviews. People often claim that since there is only one day allocated to register your child and the window is open for only one hour, its a looong line and people often line up their drivers and maids from 5 in the morning. This is a big exaggeration and its not true. Start checking the school’s website from February and mostly the date for registration is announced in the beginning of March. One is for Grammarians or people who already have one child in Karachi Grammar school. And the other date is for all other applicants. Please bear in mind that you have to take certain documents when going to collect the appointment slip. And if even one document is missing your child will not be registered. Next step you will be given the appointment slip mentioned with a date and it says that the child is not needed to accompany the guardians. Try to reach 15 minutes before the specified time on your appointment date and always carry a pen with you. After waiting in the hallway you will be escorted to a room where many other parents will be seen filling up forms and that’s exactly what you have to do, the teachers will hand a questionnaire and the parents have to fill it up. Its usually your basic personal info whats your work and your child’s previous academic record. Once you submit this form you will be assigned an interview date. Parents appearing for the first time in Karachi Grammar School interview appear to be very nervous and anxious. Being granted the admission will be like a big WOW and being rejected is something like it never happened. (though the heart will be a bit sour for some time). Many parents put their children under so much stress, for instance enrolling them in KGS specialized admission preparation centers, or taking them for music lessons etc. This is something totally not worth the deal. I have seen many children whose parents are ministers or in the government posts, and these kids are pretty average, yet they got the admission. So for such young children aged 2.5 to 3 this preparation or admission process has got nothing to do with their competence, rather it’s the parent’s position. Some parents go over the top when it comes to dressing for the interview trust me your Gucci bag and your designer suit will get you nothing unless you are a person of substance. So wear simple, neat and presentable clothes. Questions asked by the Principal to your child in front of you. What do you like to play in school? After this brief interview, your child is escorted in another room with the teacher. Whats your position in the job? For how long have you been working with this company? Whats your qualification?asked to both mother and father. Can you please explain your business model in detail? What are the future aspirations of your company? Do you read to your child daily? How many hours do you spend with your child? Do you help the mother with the daily chores related to your child? As a parent what is your most important duty towards your child? Which is the most important quality you need to inculcate in your child? They will not assess your three year old for theorems or quantum mechanics, they just check for speech development and cognitive and fine motor skill developments. After this interview, all you have to do is wait for the results on the school’s website. The main purpose of this blog post is to inform people about the admission criteria parameters for admissions, particularly in Kindergarten. Children between the age 2.5 to 3 are very small to be assessed intellectually. However, the admissions in higher grades such as third grade or seventh grade depend mostly on the student’s academic competence which is examined through assessments. Hello, just started following your blog and its very interesting. Yes I do think children studying in KGS have an edge over children studying in various other institutions, not really in terms of intelligence, but rather in terms of having strong alumni at their backs once they enter their practical lives, and start looking for jobs, and since the school is over 150 years old one can count on the alumni occupying major positions in multinational companies and foreign banks. I still don’t see the point of making my kids go through the gruelling preparations and tuitions for the the admission test, and if they don’t get admission the process starts anew. I would rather send them to a school where they try to bring out the best in them, and alhamdulillah I’m satisfied in this regard. Which school do your kids attend? It is the policy of the Board that students of good academic ability should not be prevented from accessing good quality education because of lack of family finances. Accordingly, provision is made for remission of fees according to merit and need for students of Class III and older. Applications forms are available from the Principal’s office. Thanks for the comment. There are nice things written in our constitution as well which is the highest book of law but unfortunately the ground realities are always different in this part of the world. Hi Ms Kiran. I was looking for some information about KGS so I found your blog and it is really very informative. Thanks for giving some neutral kind of views. A well composed blog..I must say this what are society is turning into.Im a mother to a toddler but after getting him into a preschool I have now come to realise how vaguely hard it is to provide our kids with good education..and even with my little ones future is affected by my own past…its like I wasnt born in an elite and bureautcrat family so my child cant have what is good. Im sorry I do not completely agree with you about the KGS admission selection criteria my kids go to grammar school neither am I a grammarian nor is my husband.During the interview they never inquired about the business details all they want to know is that you are educated, belong to decent family, what you expect from the institution and how much time do you spend with your child.These were the few basic questions, believe me there are so many kids studying there who come from educated middle class background.I think being honest as you are is the key of course they do expect the child to be able to answer and have confidence enough to interact.Anyhow this is my opinion as im talking from my experience. Assalamoalikum n greetings..hope you are doing well…. I visited your blog…n i found it intresting…. My daughter is studying in Happy Palace Grammar school…I want to ask is it a goood school or i should try for another…. Hi kiran, can u tell me anything about A-level admission process n their criteria about grades in grammar school would be help ful. Just want to knw at the time of registration both the parents are required to be there ? Currently I am going through the same feelings. a feeling of deception as I say. BEING an educationist , I m lost and am trying to figure out what to do since my child didn’t get in this school. As they say the admissions were transparent . I am wondering what this Merit word has to do in a country like Pakistan. Quite impressive blog. particularly tentative questions for parents and child. My son applied this year for grade 7,would be great if you tell me about interview questions from parents and applicant both. Is it necessary for my child to attend a pre school to get admission in KGS ? It’s not a necessity for a child to attend pre-school prior to getting admission in KGS. Although many parents do send their child to pre-school thinking that their child will be prepared for the interview. For the moment I would suggest just concentrate on your preparation for the admission test. And wait for the outcome. Once you get selected, then you can save all your energy for thinking about what will be and how it will be. So let me know about the outcome and then I will definitely try to explain to you in detail about how you can handle rude people, from my experience. I wanna know about the eligibility criteria for grade 1 admission in karachi grammar school.. Kindly help me. How KGS conduct test for nursery admission and what they ask in interview?? If you are asking for the child’s admission procedure, I can’t give you the exact details, because at the time of the interview they take the child to another room. And since children are so small at the nursery stage, they are unable to tell about the entire procedure. But from what I’ve gathered is that they ask the children to draw a face and some differences between wild and farm animals. As far as the parents are concerned, the interviewer will ask you about your work, your daily routine, how much screen time you give to your child and if you live in a joint family or nuclear family. I want to know in which class/es KGS is offering admission?